You’ve carefully followed the checklist of things to do before you self-publish, and now you’re wondering: I already have an ISBN, but should I copyright my book too? While we’re not lawyers, we can offer a brief overview about copyright to help you make the right choice before your book hits the market. If you need more details, we recommend consulting a lawyer familiar with copyright and intellectual property law. 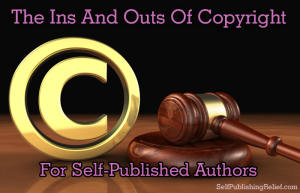 What Does Copyright Mean For A Self-Published Book? Under U.S. copyright law, your self-published work (and any writing of yours, for that matter) is protected as soon as you put pen to paper. Copyright is based on your creative authorship and is not dependent on any formal agreement with a book publisher or self-publishing company. Technically, your book was copyrighted the moment you wrote it. So the question isn’t how does one copyright a book; rather, it’s how does one register one’s copyrighted book? The U.S. Copyright Office maintains records for all registered copyrighted materials in the United States. In order for your book to be listed among the millions of others on record, you must register your book with the office. Is Registering A Self-Published Book With The Copyright Office Worth It? Copyright registration allows you, as a self-published author, a higher level of security and confidence when it comes to protecting your work. Although your work is copyrighted from the moment you write it, in order to receive legal protection in a court of law, your work must be registered with the U.S. Copyright Office. What does this mean for self-published authors? As a self-published author, you won’t have the support system of a major publishing house willing to defend you in a court of law. If you suspect someone has infringed upon your copyrighted work (or if someone claims you have infringed upon theirs), registering your book with the U.S. Copyright Office can help prove your authorship before a judge. What Else Does Copyrighting Protect? It’s important to know that copyrighting only protects the text of your book, not the facts or ideas it puts forth. Nor can a book’s title be copyrighted—if you want to protect your title from being used again by a third party, you’ll have to consider registering it as a trademark. We don’t recommend doing this, as it’s a long and expensive process that may prove fruitless in the end. Why Go Through The Rigmarole? Can’t I Just Mail My Book To Myself? Ah, yes, the infamous “poor man’s copyright” technique. No, unfortunately, you cannot just mail your self-published book (or anything for that matter) to yourself in lieu of registering a copyright with the U.S. Copyright Office. Without official registration, your authorship may be called into question in a court of law. Does U.S. Copyright Extend Overseas? Yes and no. The United States has plenty of agreements with other nations that honor the copyrights of citizens worldwide. For a complete list of countries where your copyright is protected, read Circular 38a, International Copyright Relations of the United States. The Bottom Line: Should Self-Published Authors Register Their Copyright? To protect yourself against possible legal challenges to your authorship, we would recommend registering your copyright. While authorship challenges don’t occur often, the risk may well outweigh the registration fee. Once your book is in its final form and ready for release to the market, registering the copyright is a simple task that could potentially save you a lot of hassle in the future. It’s well worth the small fee. Plus, when you register your copyright, your book can be assigned a Library of Congress number. What If I’ve Already Self-Published My Book? Is It Too Late? Don’t fret! There is a provision for such instances within U.S. Copyright Law. Even if your book has already been self-published and is available for purchase, you can still register your copyright with the U.S. Copyright Office for up to five years after the initial publication of your book. Be sure to visit the U.S. Copyright Office’s website for further details. QUESTION: Have you ever registered a book with the U.S. Copyright Office? 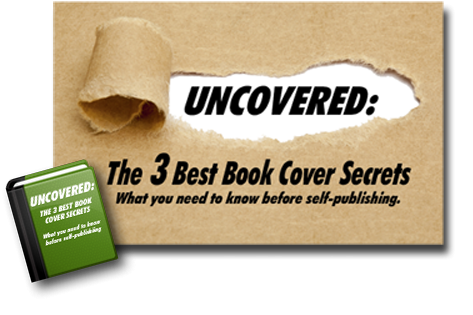 ← Before You Self-Publish: Properly Format Your Book!